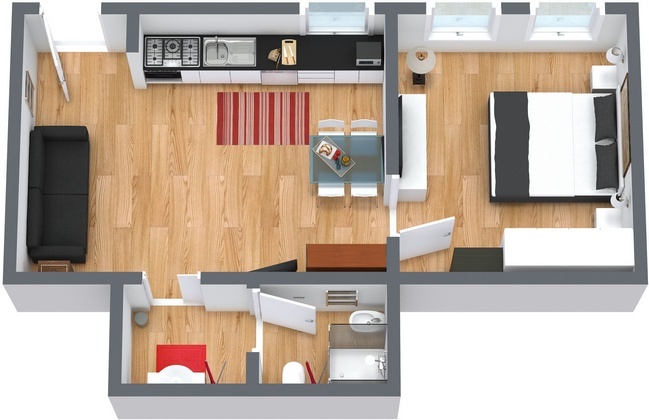 Apartment N. 66: It can accommodate up to 4 people, it is rented from 124 € per Night (not per person). 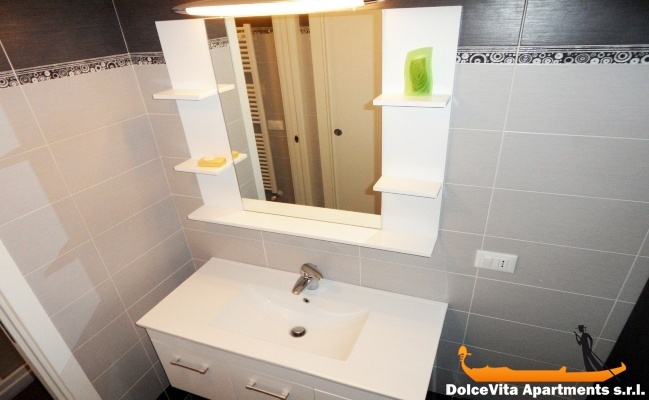 This modern and comfortable apartment in Venice of 50 Square Meters can be reached from Santa Lucia station without crossing bridges. 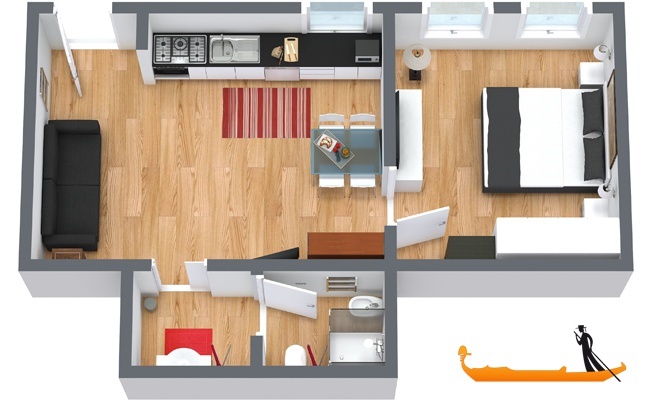 It is located on the ground floor and is very bright, has wi-fi and all modern amenities. 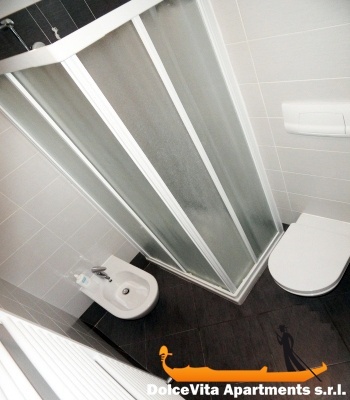 Can comfortably accommodate four people: there is a large double bedroom and a comfortable sofa bed for two. The kitchen is fully equipped (with dishwasher), and there is a dining table. 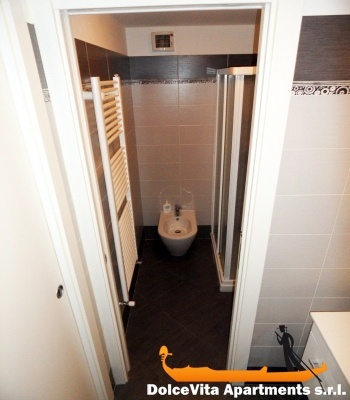 The bathroom, as the entire apartment, has been renovated recently. You will be in the heart of Cannaregio, near the famous old Jewish quarter; the water bus stop of "Guglie" is a few steps and allows to reach quickly all places. You will find a lot of shops, bars and restaurant close to the apartment. 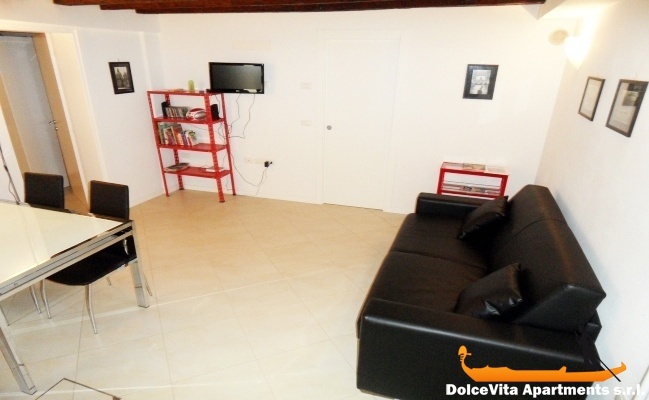 The apartment is in a great location, no noise but close to all the main attractions of Venice. Apartment was clean, well equipt and comfortable. Stylishly furnished and modern.